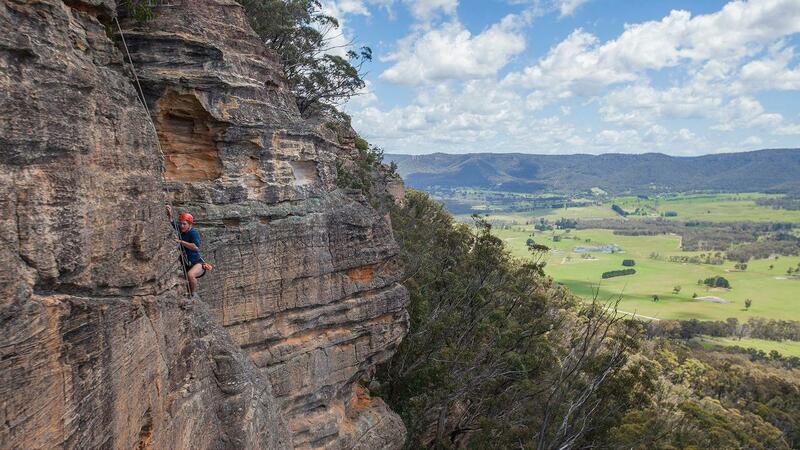 Quite simply, this is one of the classic Blue Mountains Adventures! 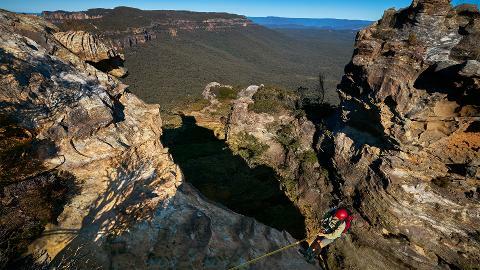 Totally suitable for those with minimal climbing experience, this trip takes us down the most exciting Multi-Pitch Abseil in the Blue Mountains. 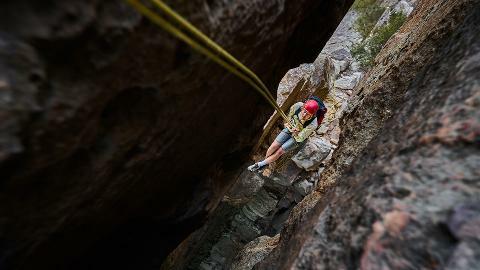 At the bottom of the cliffline we'll then rope back up for 2 exciting but easy pitches of Blue Mountains Rock Climbing! If you're relatively new to climbing, or simply want to check out this all-time-classic, you won't be disappointed! Please note your booking will be processed manually to ensure that we have guides available to run your trip.